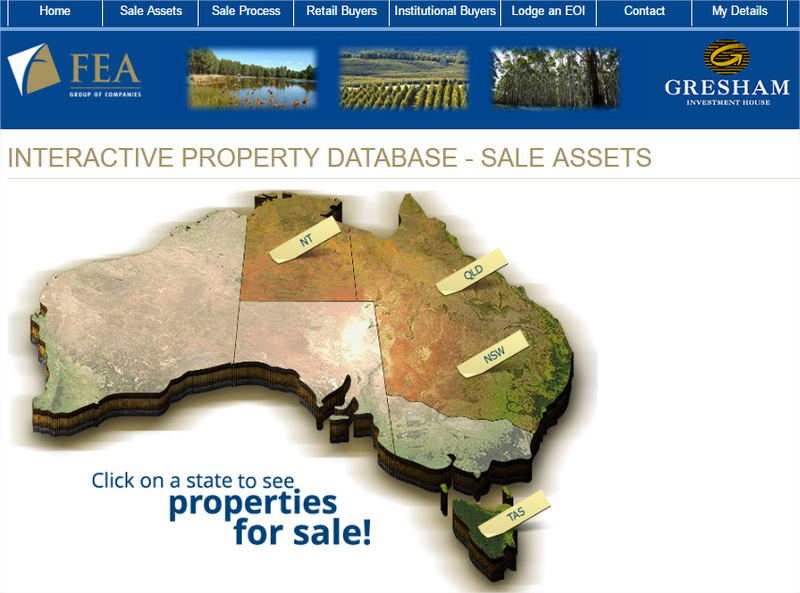 Esk Mapping & GIS (through our JV company Spatial Australia) developed a dedicated interactive spatial dataroom to facilitate the sale of the Forest Enterprises Australia (FEA) Estate Sale. Clicking on the table record triggered a pop-up with property details and options to produce a map or download relevant documents relating to title, asset on any encumbrances. Once prospective purchasers had accessed info from the system, they could then register an Expression of Interest (EoI) via the system which then collated all EoIs for consideration by the vendor. As the sale was concluded in April 2015, the website no longer accepts new registrations - contact us for a demo.